OAKLAND, California, October 22, 2012 (ENS) – Environmental groups have filed a lawsuit charging that the California agency tasked with regulating oil and gas well activity has failed to consider or evaluate the risks of hydraulic fracturing, as required by the California Environmental Quality Act. The groups are asking the court to prohibit the approval of new oil and gas wells until the agency complies with its legal requirements to evaluate and mitigate the “significant environmental and public health impacts” caused by hydraulic fracturing, commonly called fracking. The lawsuit filed October 16 in Alameda County Superior Court charges that the California Department of Conservation, Division of Oil, Gas, and Geothermal Resources, DOGGR, issues “boilerplate negative declarations finding no significant impacts” in response to applications for state approval of fracking operations. Hydraulic fracturing, commonly called fracking, is a procedure used to extract deposits of oil and gas from depleted wells or from geologic formations where conventional drilling is ineffective. Millions of gallons of water mixed with toxic chemicals are injected down each well at high pressure, fracturing the underground rock formations, forcing the oil or gas to the surface. 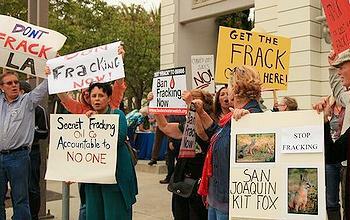 Fracking has been used in California for more than 50 years. The Western States Petroleum Association estimates that more than 600 California wells were fracked in 2011. Fracking is also associated with large releases of methane, a potent greenhouse gas responsible for raising the planetary temperature. The nonprofit environmental law firm Earthjustice filed the lawsuit on behalf of the Center for Biological Diversity, Earthworks, Environmental Working Group and Sierra Club. “By turning a blind eye to fracking, California officials are letting oil companies endanger our air, our water and our climate,” said Kassie Siegel, director of the Center for Biological Diversity’s Climate Law Institute. “If the oil industry fracks the 14 billion barrels of unconventional oil in the Monterey Shale, they’ll light the fuse on a carbon bomb that will demolish California’s efforts to fight climate change,” Siegel said. Although DOGGR is the state agency charged with regulating all oil and gas well activity in California, the agency admits it has not permitted or monitored its impacts and has never formally evaluated the potential environmental and health effects of the practice, even as it continues to approve new permits for oil and gas wells, the plaintiff groups say in their statement announcing the lawsuit. In the lawsuit, Earthjustice contends that there are “significant environmental and public health impacts associated with hydraulic fracturing,” including the contamination of domestic and agricultural water supplies, the use of massive amounts of water, the emission of hazardous air pollutants, and the potential for induced earthquake activity. 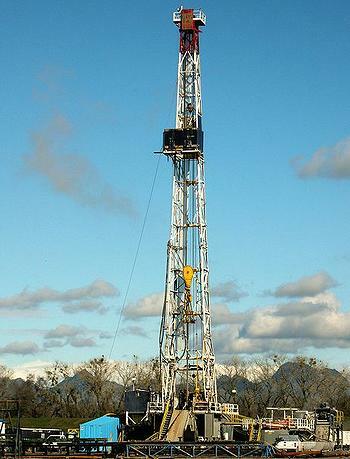 Yet DOGGR regularly permits new oil and gas wells without any environmental analysis at all by categorically excluding such projects from the California Environmental Quality Act based on regulatory exemptions for “Minor Alterations to Land” or “Existing Facilities” that are wholly inapplicable to such activities, the plaintiffs complain. The lawsuit charges that DOGGR’s practice of approving permits for oil and gas wells after exempting these projects from environmental review undermines the fundamental review requirements of law. “Public outcry has finally forced the Department to take a look at fracking. They’ve held workshops and say they’re considering regulations. But the problem needs attention now before too much damage is done,” Torgun said. Other parts of the country are in the midst of a fracking-enabled drilling rush. Along with this development have come reports of poisoned drinking water, polluted, air industrial disasters, earthquakes and explosions. A survey of Pennsylvania residents living close to oil and gas wells released last week by the nonprofit group by Earthworks revealed symptoms including throat irritation, sinus problems and nasal irritation, burning eyes, joint pain, severe headaches, sleep disturbances, skin rashes, shortness of breath, loss of sense of smell, persistent cough, forgetfulness, frequent nosebleeds, swollen painful joints and increased fatigue. These symptoms were reported by residents living within 500 feet of fracked wells but they were also reported by residents living nearly a mile from fracked wells. Survey participants were asked to describe the suspected source of odors they experienced. Nearly all responses related odors to gas facilities and events, including drilling; gas wells; well pads; fracturing; compressor stations; condensate tanks; drinking contaminated water; flaring; waste pits; retention ponds; diesel engines; truck traffic; pipelines and pipeline stations; spills and leaks; subsurface events and seismic testing.